Neither team had led by more than 6 points in the first three quarters, and during the fourth they settled into a back-and-forth that included seven ties and two lead changes. Going into the final minute, host Buducnost VOLI Podgorica led 88-87 and everything pointed towards a tight finish, but Khimki Moscow Region had other ideas. Especially, center Jordan Mickey had them. An 2-11 run in the final 48 seconds started with Stefan Markovic hitting his second three-pointer. Then, Mickey barreled right at big Goga Bitadze, who blocks shots as often as other people breathe, bounced off him, made the basket and got fouled. When his free throw fell through it was over. The game's highest lead was the final score, 90-98. Suddenly, Khimki was sitting on a 9-13 record and will be no more than two victories away from the last playoffs place when Round 22 finishes. Just saying that is remarkable for a team that since late November has lost its two top players – Alexey Shved and Anthony Gill – to injury and endured a coaching change from Georgios Bartzokas to Rimas Kurtinaitis. In 13 games since Shved left, Khimki is now 6-7, and it's now 1-2 under Kurtinaitis. 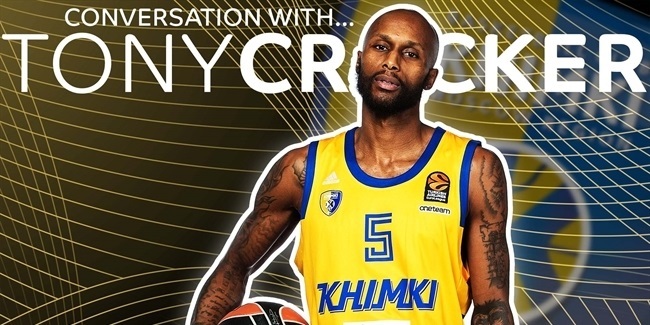 A major reason for Khimki's continued competitiveness is Mickey, who has scored in double digits in 12 of 13 games since Shved has been hurt and is averaging 19.8 points in the last four. On Thursday, Mickey scored 17 of his 25 points after halftime, and 10 of those after returning to the game with 5:50 to play and his team behind by 76-73. "I didn't have a great first half. 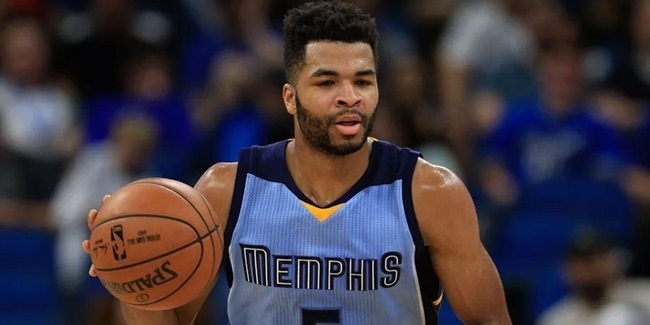 I kind of put my team in a hole," the EuroLeague rookie said afterwards. "Second half, I just wanted to come out, be aggressive and try to help us get the win." Said and done. 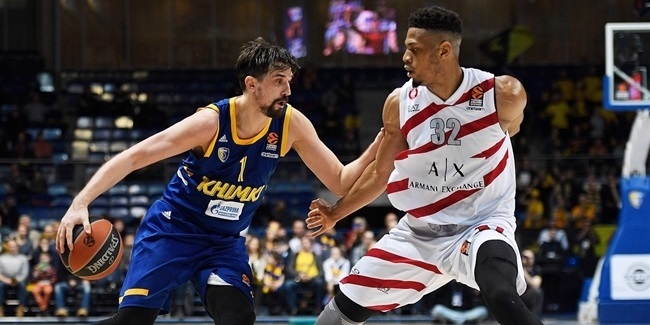 With eight games left, four each at home and on the road, nothing will be easy for Khimki. But by ending Buducnost's string of three road wins, this team that seemed devastated as 2018 turned into 2019 is still alive and kicking. And with Shved due back soon, any of the four teams directly above it that underestimates Khimki will be doing so at its own peril. "[Shved] is coming in a couple of weeks, but for the moment we aren't thinking that far," Kurtinaitis said. "We have to think about just the next game and play all of them to win. That's it. With that, maybe playoffs will come."